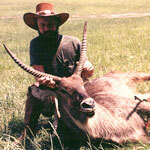 With the cost of travel and political upheavals make hunting abroad expensive and sometimes risky, more and more hunters are finding exotic African game hunting at High Adventure Ranch an ideal alternative. Although some hunters initially have reservations regarding a game ranch’s ability to provide a fair chase, the experience of stalking one of these exotic animals over the rugged Missouri terrain proves plenty challenging even for experienced hunters. 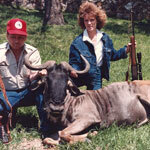 *Other African game is available, but we offer no hunts for endangered species. All of our hunts are backed by our No Game, No Pay policy, but pricing and availability will vary depending on the species you wish to hunt. 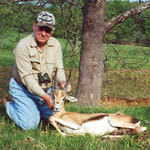 For more information on our African Big Game Hunts, please call (314) 209-9800 or fill out our contact form.